is a subsidiary of the Team One Groupe, an established Sports Marketing, PR Events and Travel Company based in Toulouse, France. When Philippe Spanghero, the CEO of Team One Groupe was approached by 2 French ex pats living in Hong Kong with a vision of bringing out 2 top French rugby teams, the wheels were set in motion for the creation of the Natixis Rugby Cup. Through its solid reputation in France, Team One were able to sign 2 giants of French Rugby, Racing Metro 92 and Stade Toulousain to the venture. With the vision of Jean-Baptiste Aldigé, a Frenchman playing for the Valley Club in Hong Kong, and his partner in the venture, a passionate rugby man and a financier in Hong Kong, Team One Asia was created. There were many hurdles to overcome but on the 5th November 2013 both teams arrived in Hong Kong. What followed was a hugely successful week where both teams participated in Rugby Camps for local children, shared training sessions with local clubs and wined and dined with partners and sponsors in PR Events and a Gala Dinner. The week was finished off in style with a toughly fought match between the two teams in Aberdeen Stadium, with Toulouse defeating Racing 19-12. 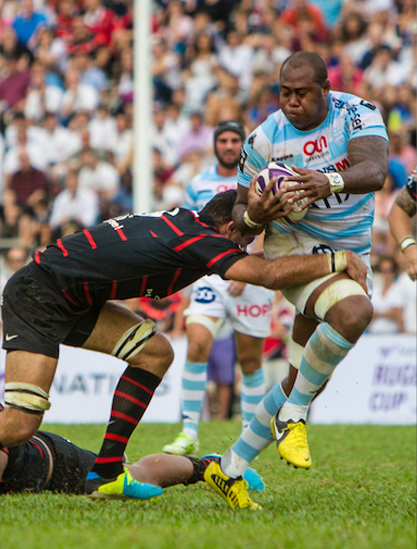 Although put together in a short space of time the event was considered by all to be a huge success, and with Natixis contracted as title sponsors for another year and Racing Metro 92 already signed up for a second year, the future looks very promising. Hong Kong is a place where rugby has a strong history and is today one of its most popular sports. There are a total of 49 mens tems playing in 6 divisions and 15 womens teams in 2 divisions. The majority of these participants are made up from the ex-patriot community, showing the potential for support there. The commercial rugby scene is dominated by the Hong Kong Sevens which attracts 120,000 supporters each each year and a host of major sponsors. Recently there have also been major 15 a side fixtures played in Hong Kong such as the British Lions versus the Barbarians in June 2013 and the Bledisloe Cup match between Australia and New Zealand in 2012. The French Top 14 League has become the strongest and most lucrative club league on the planet, with world renowned players gracing the stadiums each week. Because of this internationalization Team One Asia feel the Top 14 is ready to be exported to places such as Hong Kong. 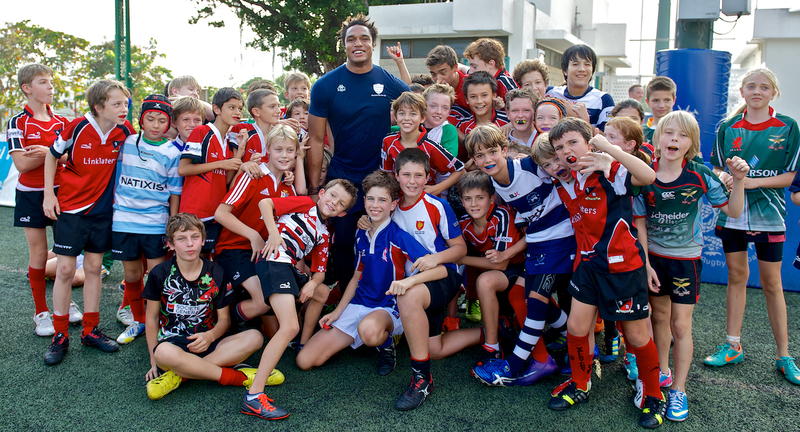 The vision is not only to bring one game a year to Hong Kong, but to introduce the visiting teams and players to Hong Kong through the organization of Kids Rugby Camps, Open and Shared Training Sessions and PR Events and Dinners, all with the players and staff of the teams. Through these events and the game Team One Asia hope to build strong links between Hong Kong and the teams which can develop into strong partnerships in the future.